Tips and Tools for an Authorpreneur to Market Your Ebook: Build Your Following. Sell More Books. Hey Authors! Get the Free SELL MORE BOOKS Course & start selling more books today. 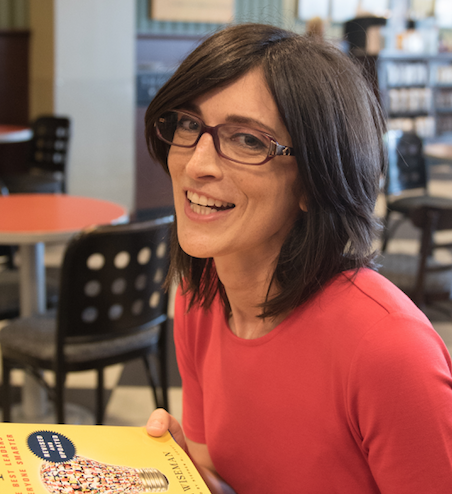 My name is Marquina, and I help authors like you sell more books. Welcome to Authorpreneur Launch – the place where authors learn how to dramatically increase their fan following and sell more books. I help authors feel empowered – not overwhelmed – by marketing. A first-time author looking to promote your debut novel. An experienced author looking to amp up your book sales & online presence. Confused about how to market yourself and your book – and still find time to write the sequel! Maybe you are at a point in your career where you simply need to hand off the marketing reins so you can truly focus on your writing. You just need someone to handle the marketing of your work for you. If there aren’t enough hours in the day and you want to focus on your writing – we need to talk. For the past 9 years, I’ve had the privilege of working with the Big 5 Publishers as well as thousands of authors to help build platforms and increase book sales. I’ve built hundreds of Facebook apps & audiences, grown twitter followings, launched giveaways, and sent over 1 million daily ebook deals per year. It’s an amazing time for authors! Anyone who can tell a story (fiction) or solve a problem (non-fiction) can share their work with the world by self-publishing their book. Authors are experts in their field, but may not be experts at online marketing. After you write your novel, how do you find your audience? Who helps you build and maintain your social accounts? Which social accounts are right for you and your audience in the first place? And – most importantly – how can an author like you make sure you don’t waste your time and money on efforts that do not have a positive return on investment? That’s where Authorpreneur Launch comes in! The Authorpreneur Launch mission is to accelerate author book sales. These resources are for authors in any genre. I provide tools, training, tracking/analytics, helpful insight, and advice to help new authors find and engage their audience. I am obsessed with platform growth and selling books. Since 2007, I’ve worked with businesses and individuals in all walks of professional life, helping them find and connect with their audience. Since 2010, I’ve worked exclusively with established publishers and authors to increase social media reach, find thousands of new fans and subscribers, and helped many authors gain traction for their titles and walk on the edge of awesome. In August of 2015, I decided to take all the knowledge I’d acquired through years of marketing authors and books, and start a business specializing in helping new authors break into the market. It’s been a total blast. I love helping authors! And now, I’d love to help you. You can find my posts about author marketing on Facebook, Twitter, LinkedIn, and my blog. I am available for interviews, guest posts and articles, seminars, presentations, and speaking engagements. To inquire about my availability, please email or tweet. ➜ Want to work with me and make your book sales, social media and author platform catapult to the next level? Check out the Authorpreneur Launch services, and then email me – let’s chat! ➜ Become an Authorpreneur Launch Member. Members receive my actionable author platform growth newsletter, as well as the FREE Author Platform Blueprint. To become a member click right here. ➜ Want to know what clients are saying about working with me? Click here. Sign up to get practical, effective platform-building advice delivered to your inbox. PLUS you'll get the Author Platform Blueprint for FREE. For reals. The Author Platform Blueprint includes: The surprising approach that New York Times BESTSELLING AUTHORS are using to leverage social media. How YOU can do social media BETTER than the big publishers. Which tools to use to cut through the noise, and WHY. Winning posts on Facebook and Twitter that convert visitors to FANS. Daily, weekly, and monthly checklists to streamline your day so you stop wasting time!